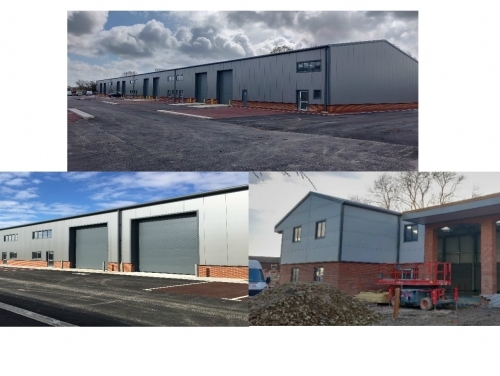 Phased roll-outs on three brand new industrial developments by the same company means more than 130,000 sq ft is now available for companies in towns throughout East Sussex, many of which have been subject to a long-term scarcity of such space. Swallow Business Park Phase II in Hailsham offers 65,229 sq ft (of which 13,710 sq ft has already been let). The units come in a range of sizes - latest availability: https://bit.ly/2WWdGOh. Similarly, Phase II of Eastside Business Park, Newhaven provides 60,539 sq ft across 24 units, of which Block E is fully built and ready for occupation - https://bit.ly/2YZfx76. Finally, Merrydown Business Park, Heathfield is a smaller-scale scheme comprising 5,873 sq ft in a six-unit development in a semi-rural setting - https://bit.ly/2Wg8NjF. As well as working closely with the developers SHW have long championed increased industrial and logistics construction in the region, and so it is arguably apt that SHW are the letting agents on all these schemes.